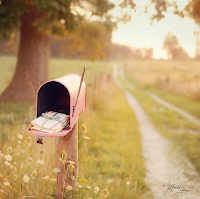 A Bookish Affair: Mailbox Monday! Welcome to Mailbox Monday, a meme started by Marcia and hosted by Caitlin of Chaotic Compendiums this month. This is a catch-up from the past two weeks! I got a lot of great books! Nice haul of books. Enjoy. I think I might worry about finishing all those books, enjoy.